The Turbo Club is located in the southern part of Gran Canaria. The hotel features an outdoor swimming pool, mini golf, tennis and games room. 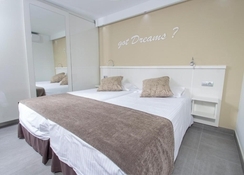 An exciting stay for beach lovers, this hotel is just a short distance from the famous Maspalomas Beach complete with rolling dunes. Turbo Club features 11 buildings with rooms and suites across two floors, where where guests can unwind after a day of sightseeing. 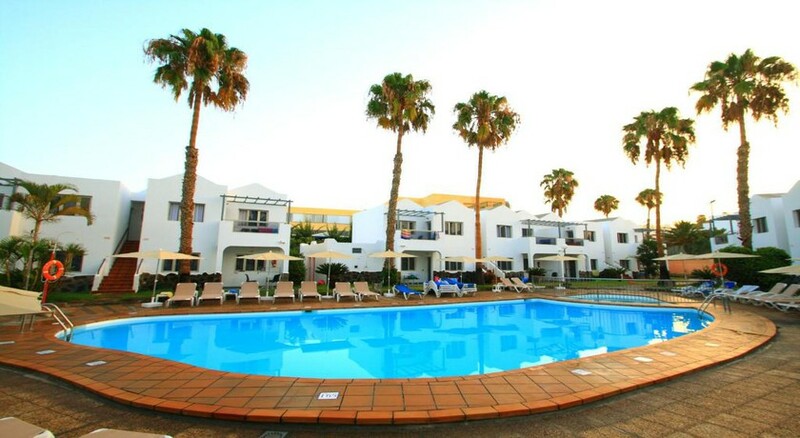 There are two outdoor swimming pools (one of which is heated in winter), lush gardens, a jacuzzi, solarium, children’s pool, mini golf, tennis court, football court, games room, restaurant and more. The in-house buffet restaurant and pool bar serves up great food and drink, while you’ll find plenty of restaurants nearby if you want to discover authentic Canarian cuisine. The Turbo Club is conveniently situated in the southern part of Gran Canaria. The hotel is near some of the city attractions, namely, Necropolis de Arteara, Camel Pal Arteara and Centro Commercial El Tablero. Abrasa, Tunte-Chino and don gamba restaurants are also near the hotel. The Gran Canaria Airport is approximately 31.4km away from Turbo Club. The Turbo Club houses apartments overlooking the pool and the garden. 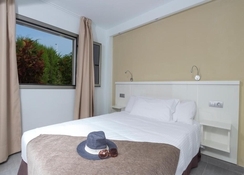 They come equipped with a terrace or balcony furnished with table and chairs, 2 single beds of 1m x 2m in a separate room, a living area with a sofa, a small kitchen with ceramic hob and fridge, bathroom with shower, toilet, hairdryer, satellite TV, air conditioner and much more. The Turbo Club has a buffet restaurant that serves breakfast, lunch and dinner in buffet style. During lunch and dinner, the guests can also have alcoholic drinks, juices, wines and soft drinks. Or grab refreshing drinks, different cocktails and finger food at the bar. 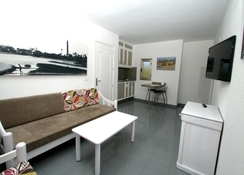 For those that wish to cook in their apartments, the hotel also offers a kitchen in some of the rooms. The Turbo Club comprises two swimming pools, a jacuzzi and a children’s pool, offering endless fun in the sun. As the Turbo Club is a short drive away from the beach, guests can also have a fantastic day out on the sand, with numerous watersports available too. When you're not busy in the mini-golf park, children can have unlimited fun in the mini club. There are different shops and a few city attractions near the hotel if you fancy wandering the local area. Turbo Club also arranges for some entertainment activities for the guests for those that wish to stay in resort. Lovely clean hotel,lovely rooms and pool,limited food choices but you still wouldn't go hungry!!! Limited evening entertainment,got value for money would definitely go back if the price was right.